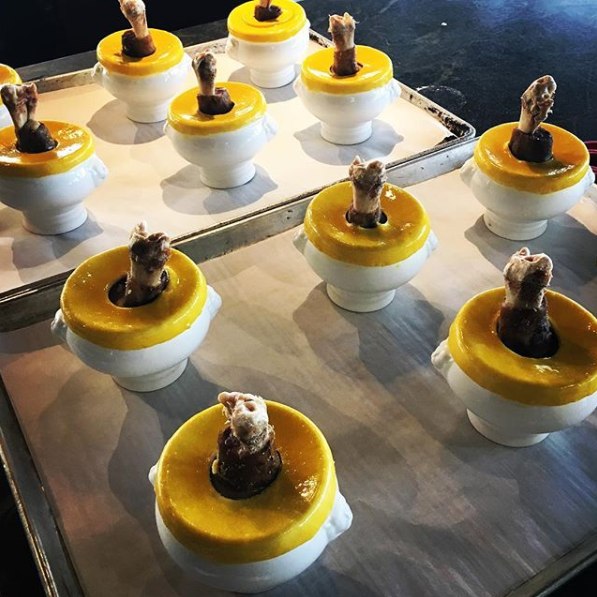 When Chef Ron McKinlay isn’t busy crafting contemporary Canadian cuisine in the kitchen, he takes a moment to share his latest creations on Instagram. 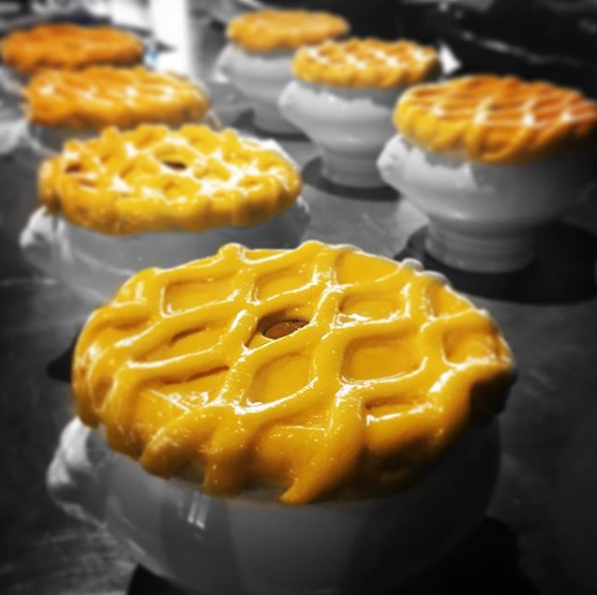 Over the past few months, Chef has been sharing a collection of old school dishes that aren’t featured on Canoe’s à la carte menu, including beef Wellington and a variety of pies. 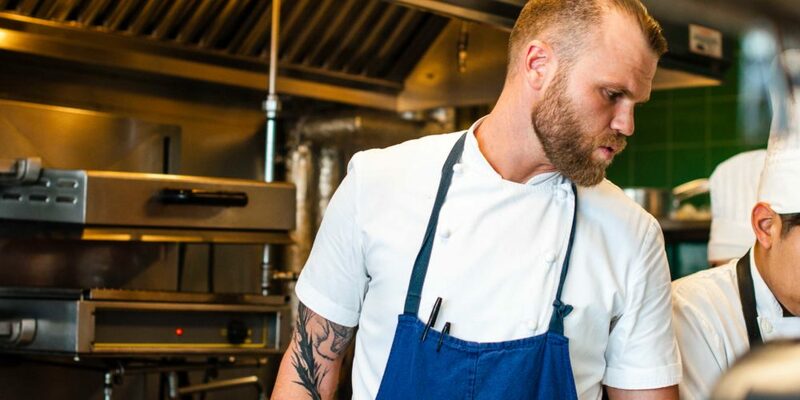 We sat down with Chef at the rail to find out what inspired him to bring back these classics every now and then. What are you making for today’s lunch special? Today, I’m making a fish pie. I’m using potatoes, prawns, and all of the trim from the sablefish and halibut we butchered this morning. 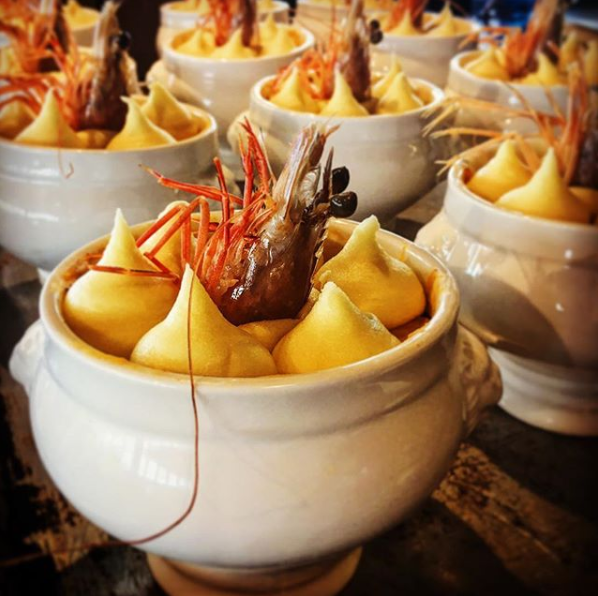 The key is to make sure the prawn comes out of the top of the pie, so that when it roasts, all of the flavour comes down onto the pie and makes a huge difference in taste. What do you like about making fish pie? I like making fish pie not only because it’s a classic dish, but because I like to break down the fish as a whole. There’s always trim left over from cutting our fish into perfectly square pieces, and I always try and find a way to utilize that. For me, it’s all about paying respect to the animal. If I can use every element of an animal in cooking, then it makes a lot more sense for me to be using it. We also noticed that you’re making beef Wellington for certain specials. What inspired you to bring this dish back? I’m seeing it become increasingly popular again, there’s a lot of buzz around it in the city. Although, not many restaurants in the city are willing to make it because of the long process. It’s a bit of a fad at the moment, not so much in Toronto, but in London it’s really being brought to the forefront again, so it’s good to be able to do it here. 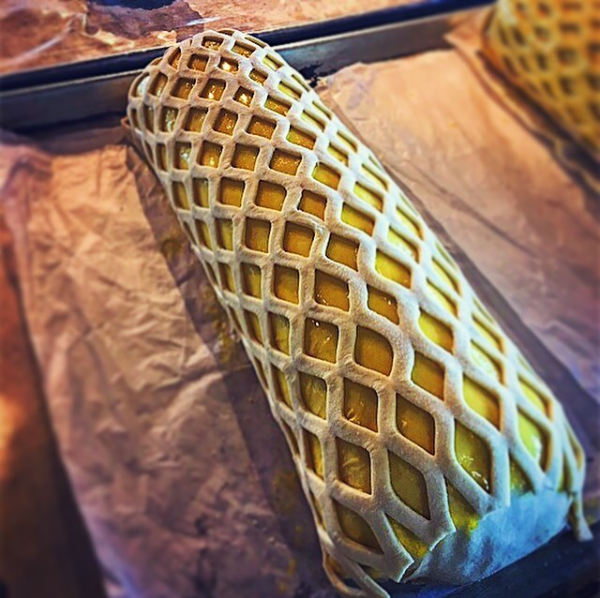 What do you enjoy about creating beef Wellington? It’s takes a lot of time, but it’s definitely worth making. It’s kind of therapeutic for me when I make it. It takes the team three days in the kitchen to properly prepare it. It’s a bit of a process. It’s also a hit with our guests, and their reactions are always worth seeing. 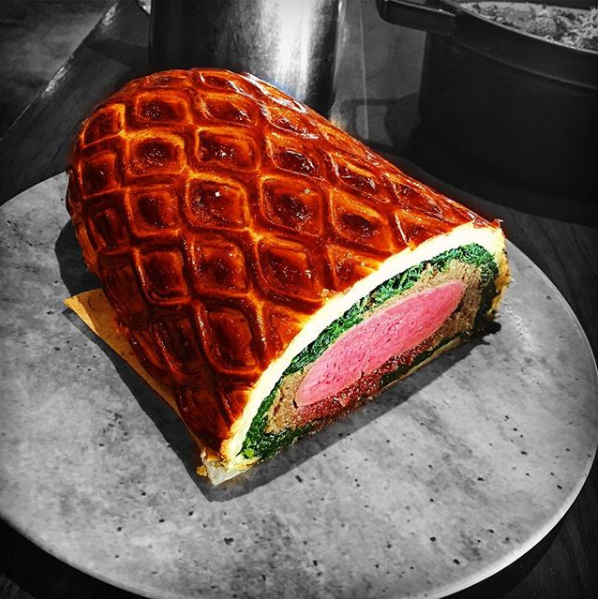 We have regulars who haven’t had beef Wellington in years, and when the dish gets delivered to their table, it instantly creates a nostalgic moment for them. What do both of these classic dishes have in common? They are both so simple and clean. I think simplicity is one of the hardest things to do, because you can’t hide behind anything. We use just really simple, classic flavours – principles Canoe is known for. It’s great to get the team in the kitchen learning how to make these classic dishes, because you rarely see them being made anymore. 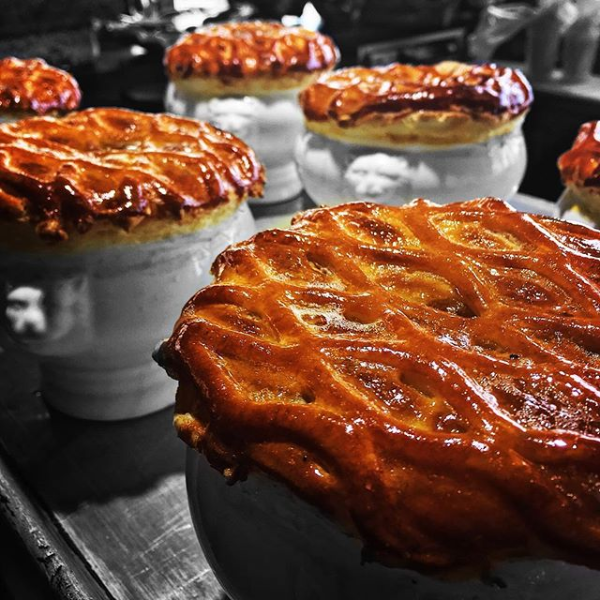 What do these classic dishes say about Canoe’s cuisine? They say that our cuisine pays a lot of respect to the classic foundations of Canadian cooking. It’s not all about the gels, and the foams, and the tweezers. We start with classic ingredients and make modern interpretations of classics done well.